Twister B4 Bucker - ON SALE! - FREE Shipping! 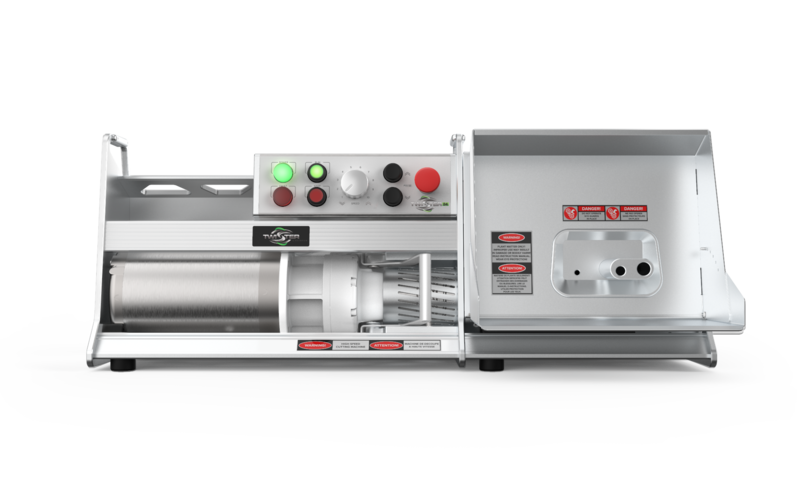 The Twister B4 is the world's fastest medical cannabis bucker, equipped with the industry's most powerful motor and gearing system, capable of delivering the safest, most efficient process possible, without the need for down- time and stoppages. The B4 is equal to the work of 5-7 individuals. Disassembles in seconds, giving you easy access to the components when needed. No tools required. The B4 ‘Bucker’ is designed to deliver non-stop performance under the most demanding conditions known to commercial cannabis. An industry first, the B4 ‘Bucker’ uses an “Active Gearing” system that allows the B4 to buck stems up to ¾” in diameter at speed rates of 150+ lbs/hr!! Wet or dry. No Jams! Emergency stop. Clear and within reach. Easy to use. Ergonomically designed. Easy to load and operate. Easy to clean. Breaks down in less than 2 minutes. Easy access to components. Minimal training required. Manuals, videos, and tips available on the website.